We know what a lot of great innovation is being driven by startups. Africa Rail is the continent's most important railway event and we have never seen change happening as rapidly as it is now. Are you one of those startups driving innovation in the transport space? Apply now to put your business infront of Africa's entire rail & transport industry - this is your opportunity to create key partnerships that will drive your business forward. Launched in 2008, the Transport Africa Awards have become the blue chip mark of success for the African transport and infrastructure sector. Align your brand with excellence, innovation and forward thinking. 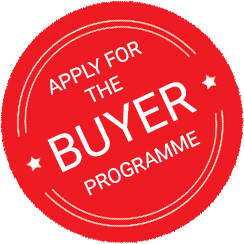 Our exclusive Guest Buyer Programme offers C-level executives from Railway Operators and Government a limited number of complimentary passes to attend Africa Rail. Africa Rail gives you two days of networking that you won't find anywhere else. As Africa's largest rail exhibition, Africa Rail creates a platform where leading solution providers can showcase a wide range of technologies aimed at helping transform and innovate the African rail industry. Our mission is to bring together the entire rail sector in Africa to learn, be inspired and exchange ideas. The Africa Rail conference delivers hundreds of global industry leaders who are shaping the way we innovate railways. No where else in Africa can you find this opportunity in just two days. 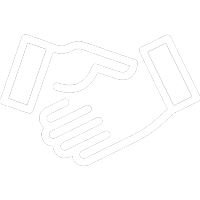 Free to attend seminars on the Rail expo floor enable sponsors and exhibitors to present to both prospects and customers alike. Enabling them to have a better understanding of how their products and solutions work. Attendees benefit from the very latest in teaching strategies, cutting edge technologies and collaboration opportunities. Countries covered in the eBook include: Ghana, Senegal, Nigeria, Côte d’Ivoire, Angola, Zambia, Tanzania, Zambia, Malawi, Botswana, Mozambique, Swaziland, South Africa, Cameroon, Central African Republic, Gabon, Egypt, Sudan, Algeria, Tunisia, Morocco, Tanzania, Uganda, Ethiopia, Rwanda, Burundi. 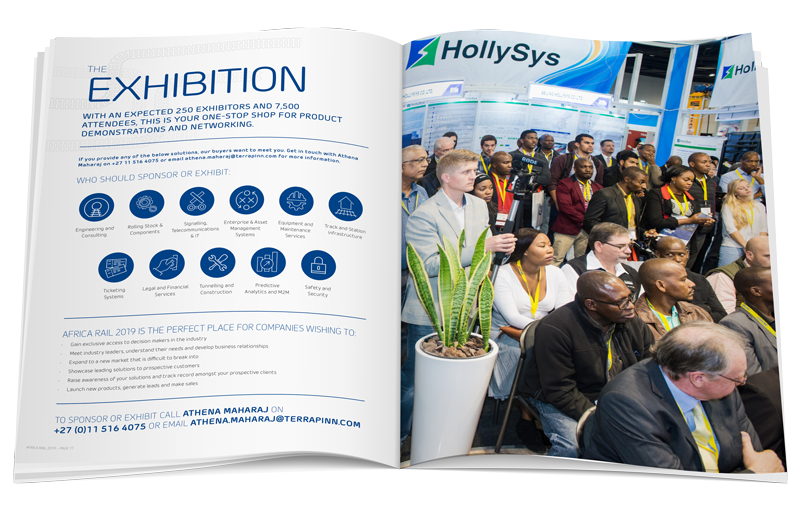 Call Athena on +27 11 516 4075 now to ensure you get one of the exhibition stands at Africa's largest rail event. Bringing together the leading minds in rail, Africa Rail is the perfect platform to showcase your products, ideas and innovations to your target market. Partner event to Africa Rail 2019.